Quince (the plural of old Eng. coine, from Fr. coing, which is derived from the Lat. cy-donia, from the Cretan town of Cydonia), a tree long cultivated in temperate climates for its fruit, and which is found wild in southern Europe, northern Africa, and in various parts of Asia. Arguments have been presented to show that the golden apples of the Hesperides were quinces instead of oranges; at all events the fruit was held in high esteem by the ancients, who had several distinct varieties. The quince has usually been placed in a separate genus, Cydonia, but modern botanists class it with the apple and pear in pyrus, and according to this view its botanical name (in most works given as Cydonia vulgaris) is pyrus Cydonia. The chief botanical difference between the quince and the apple and pear is, that it has numerous ovules in each cell and the seeds are surrounded by mucilage, while the others have only two ovules in the cell and are without mucilage. The quince seldom grows over 15 ft. high, and when left to itself is disposed to form a bush with numerous crooked branches rather than a tree; its oval or ovate deciduous leaves are entire, and covered with a cottony down on the under side. The flowers are produced singly at the ends of short branches of the current season, which bear five or six leaves, and appear late in spring; they have leafy calyx lobes, and large white or rose-colored petals. The large fruit is pear- or apple-shaped, very downy when young, but smooth when mature, of a fine golden yellow color, and very fragrant; the flesh hard, and in most varieties very austere and unfit for eating raw. The fruit is much used for preserves, and for making marmalade and jellies, and is sometimes added to apples which of themselves lack character in making pies and sauce. The seeds have long been used medicinally; their epidermis is so abundantly supplied with mucilage that one part of dry seed will coagulate 40 parts of water; it has but little adhesive power, and is regarded as a modification of cellulose. 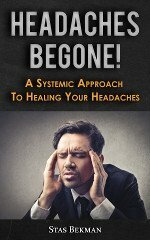 A decoction is used as a demulcent application, and is sometimes added to eve washes: the perfumed mucilage, called bandoline, was once a popular dressing for the hair. 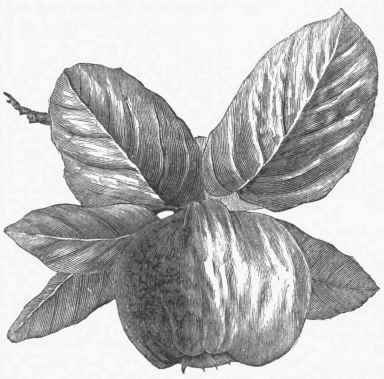 - The quince is a profitable fruit, though very much neglected; because it will give some returns when set in an out-of-the-way place and allowed to run wild, it is a popular impression that this is the proper treatment for it; the tree will abundantly repay good culture, and when properly trained to a tree form it is very ornamental both in flower and in fruit. The leading varieties are the apple- or orange-shaped and the pear-shaped. The first named under good cultivation sometimes reaches a pound in weight, and is often depressed-spherical in shape. The other has not only the more elongated form indicated by its name, but ripens two weeks later; its flesh is less tender than that of the apple-shaped variety. The Portugal is such a poor bearer that it is but little cultivated, though its fruit is of superior quality and turns crimson when cooked. Rea's seedling, which originated in Greene co., N. Y., and is but little known as yet, produces a fruit of excellent quality and from a third to a half larger than any other. An important use of the quince is for stocks upon which to graft or bud the pear (see Peak), which upon a quince root becomes much dwarfed and fruits very early. The ordinary varieties of quince do not answer for this purpose, as they are of too slow growth; two kinds are used, both of which originated in France, the Angers and the Fontenay or Paris quince, both of which bear fruit inferior in quality to those already named. The quince is easily propagated; cuttings taken off in the fall and set out at once, or kept buried till spring, root readily; it is also propagated by layering in the ordinary manner, and for the production of stocks for the pear by what is known as mound or stool layers. (See Layering.) 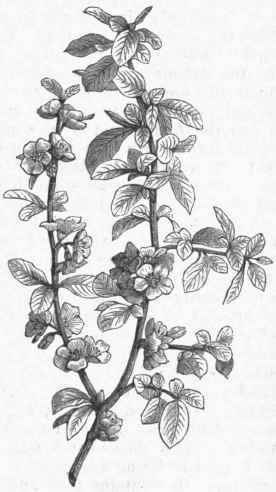 To train the quince in the tree form, a shoot should be selected as a leader and kept tied to a stake until of the proper height, cutting off all the shoots which start below; when a strong stem is thus produced, it is to be cut back to a desirable height, and four or more branches allowed to grow to form the head. - The Chinese quince, pyrus (or Cydonia) Sinensis, is occasionally seen in cultivation; it is said to reach 20 ft. in China, but is here not more than half that height; its ovate leaves are acuminated at both ends, and smooth; its small flowers appear in May, are rosy red with a violet tinge, and quite ornamental; the fruit is very large, egg-shaped, and green, but useless, being hard and dry. - The Japan quince, P. (Cydonia) Japonica, was introduced into English gardens in 1815, and has become one of the most popular ornamental shrubs. When trained to a wall it has reached 15 ft. high, but it is usually only 5 or 6 ft. and much branched, its spray being terminated by thorns. The oval leaves, somewhat wedge-shaped at the base, are serrate, smooth, and, with the conspicuous kidney-shaped stipules, very dark green. The flowers appear just before the leaves and in great abundance; in the ordinary form they are bright scarlet inclining to crimson, but there are garden varieties with white and blush flowers, and of several shades of red to dark crimson; also varieties in which the flowers are semi-double. The fruit somewhat resembles a small apple, is yellowish green, and has a very strong and rather agreeable odor; it is uneatable raw or cooked, but is sometimes put into drawers to perfume their contents. This is well suited for an ornamental hedge, as it bears clipping well and has remarkably clean and bright foliage; when in bloom nothing can be more brilliant. It is readily propagated by cuttings of the roots.